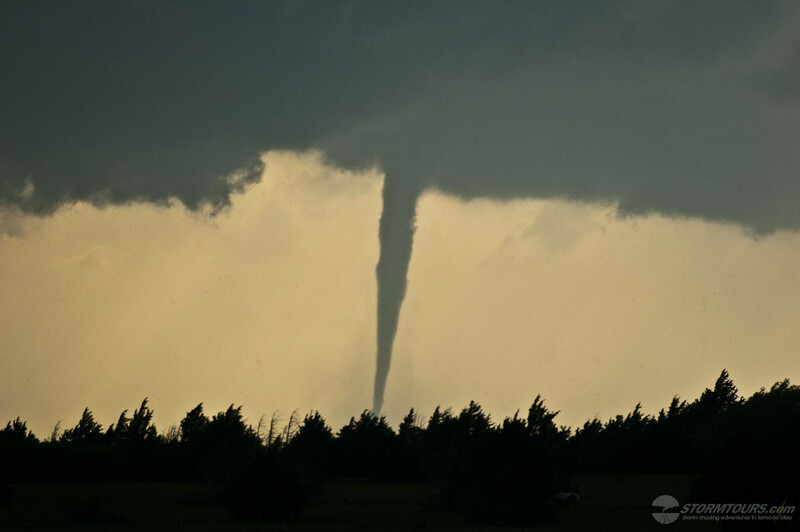 May is the time of year that you make sure your storm cellar is pumped dry and clean, because you may need it when the mayhem starts! 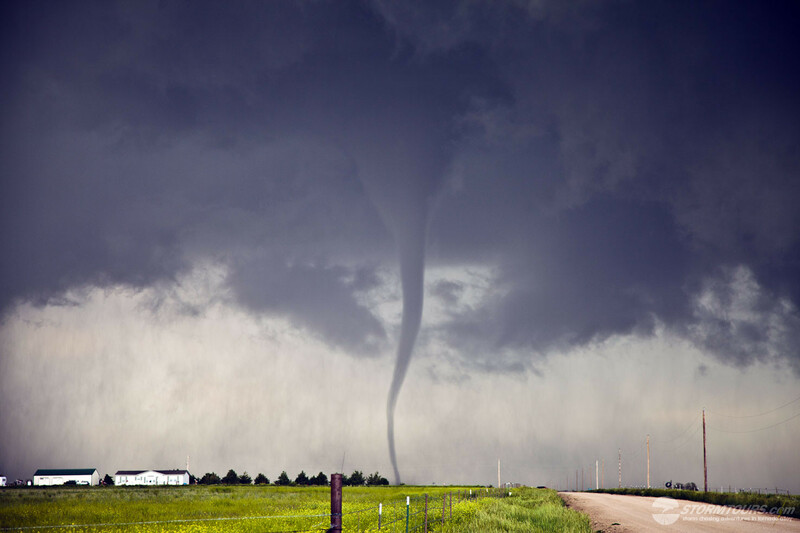 Our Tour Director grew up in Oklahoma and knows all too well what May brings - tornadoes, and usually in the form of outbreaks! From a climatological (historical) point-of-reference, this tour will spend 90% of its time in the areas of western and central Oklahoma and the Texas Panhandle. 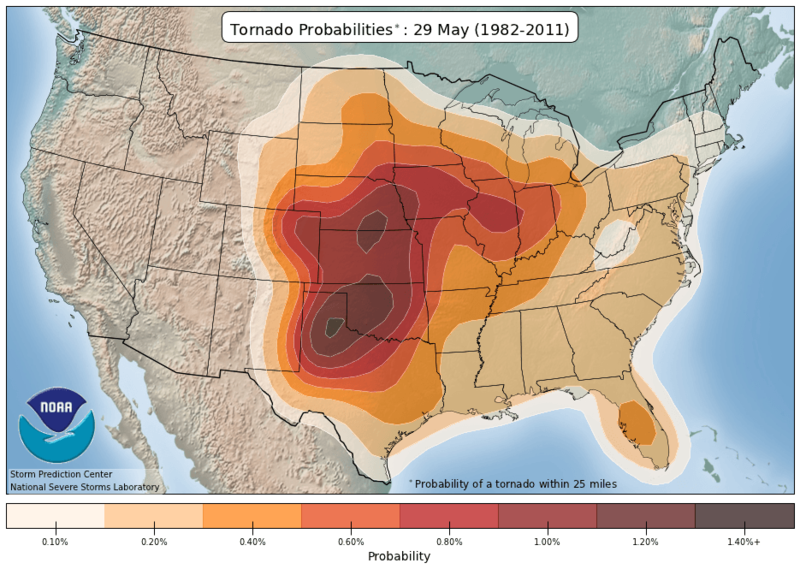 However, other probable chase areas include Kansas and extreme eastern Colorado, as well as New Mexico. The downside to this time period is cold fronts which move through the central plains sometimes push all the way down to the Gulf of Mexico, and the push the surface moisture along with it. Thus, there could be time periods while we're waiting for surface moisture to rebound back into the southern and central plains. 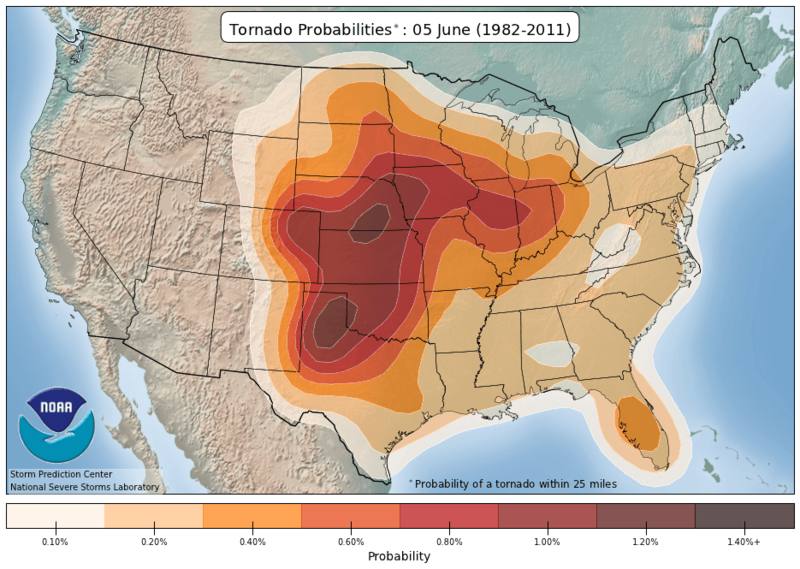 The upside of this time period is that when there are storms, they are usually tornadic. If you're looking for mayhem, this is the tour for you! The dryline is a boundary between hot, dry air and warm, moist air that runs south to north. When the dry line gets active, it punches towards the east during the day and can cause absolute mayhem! Dryline boundaries produce so many storms, that there are usually multiple target areas along them on any given day when a upper-level low is overhead. 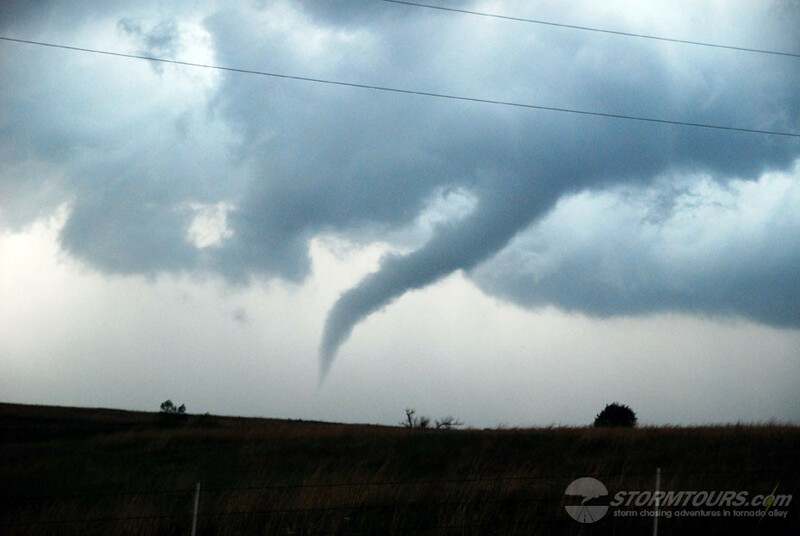 This is one of the best weeks of the year for storm chasing as May transitions into June. 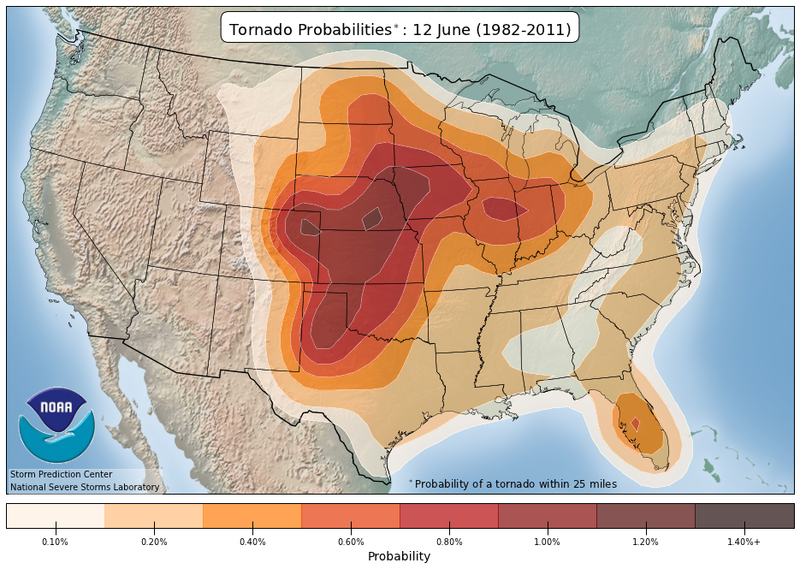 Climatologically, this last week of May and first week of June has produced severe weather in places such as the Texas Panhandle, Central and Western Oklahoma, Central and Western Kansas as well as extreme Eastern Colorado. This is one of our biggest selling tours for the peak season! The Peak Season Tour is our most popular tour. 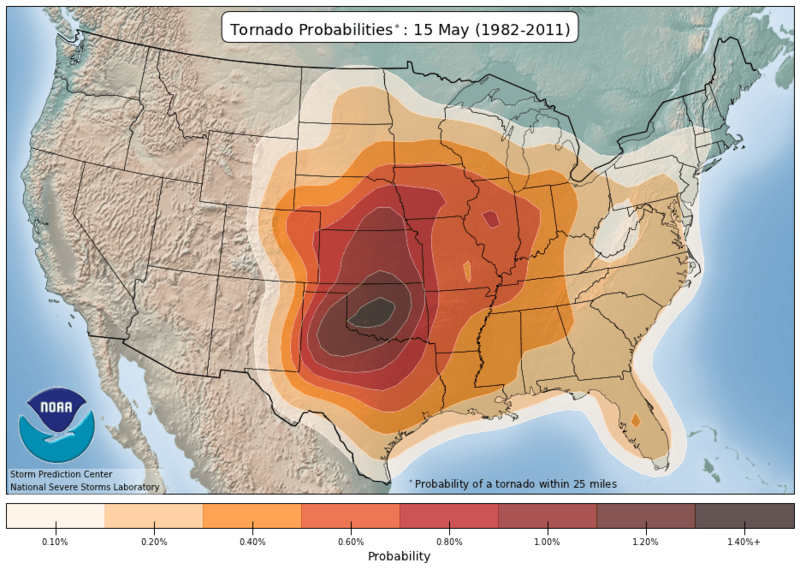 Mid-to-late May typically is the time of year when we see the most tornadoes, it's a time of year that all the right ingredients needed for massive rotating supercells come together: low-level shear, the right amount of surface heat needed for lifting the moisture that has been flowing into the southern plains throughout April and into May and lots of instability! 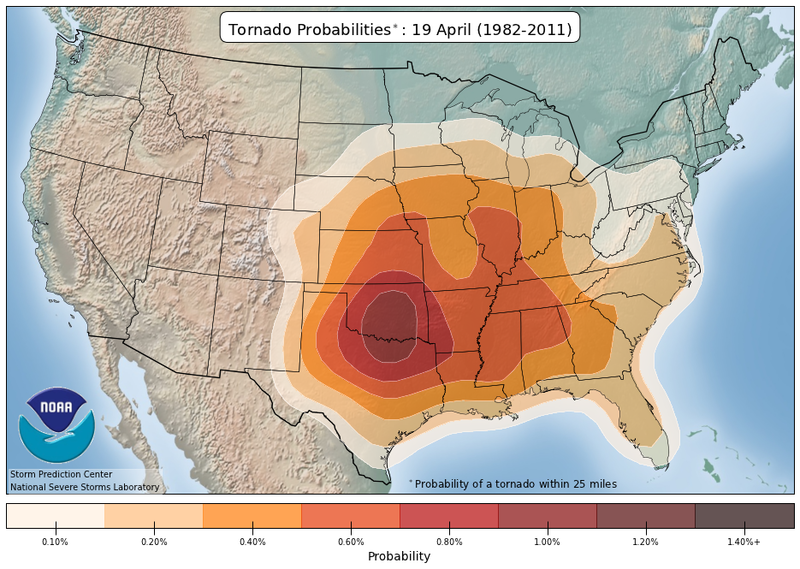 This tour in the past has seen as many as 43 tornadoes in a single week! 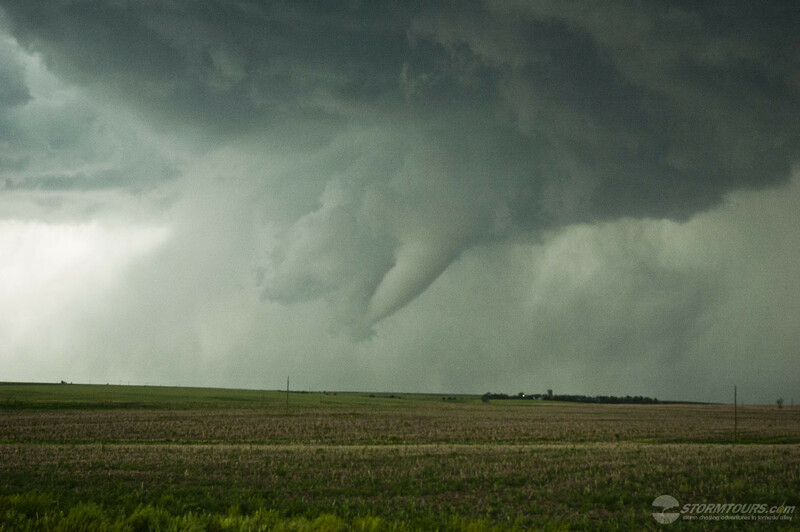 From slow-moving LP tornadic supercells to fast HP monsters, we've seen it all on this tour. Because it's peak season, it is always a sellout. 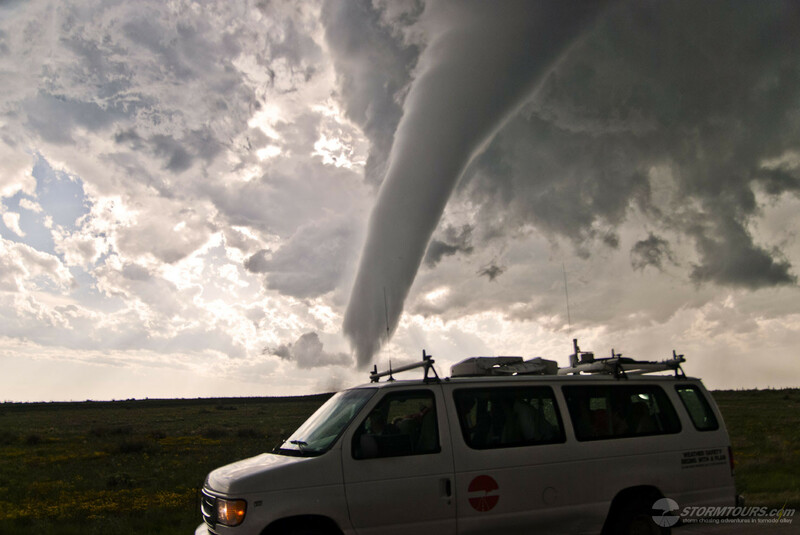 We even offer you 10-days to increase the odds of having several highly active storm chasing days during the tour. New for 2016! 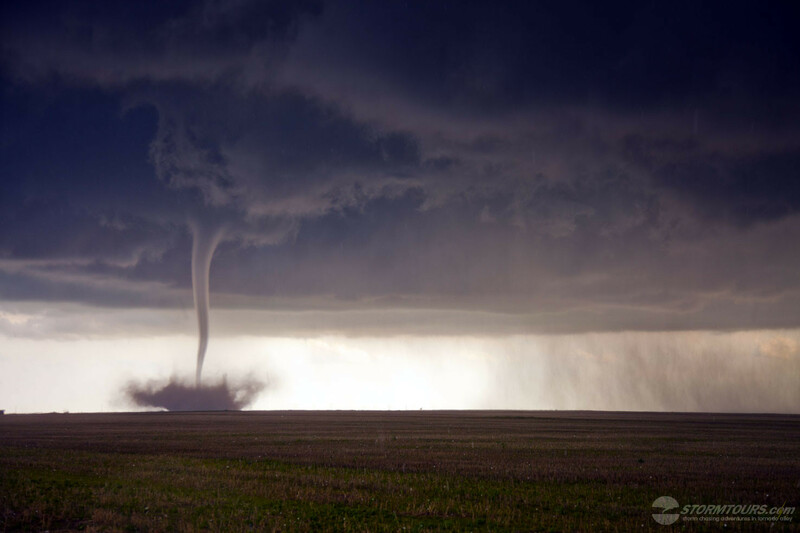 This tour gets its name due to the meteorological term for when low-level moisture is pushed up the elevations into the High Plains, "Upslow Flow" can lead to almost magical looking storms. 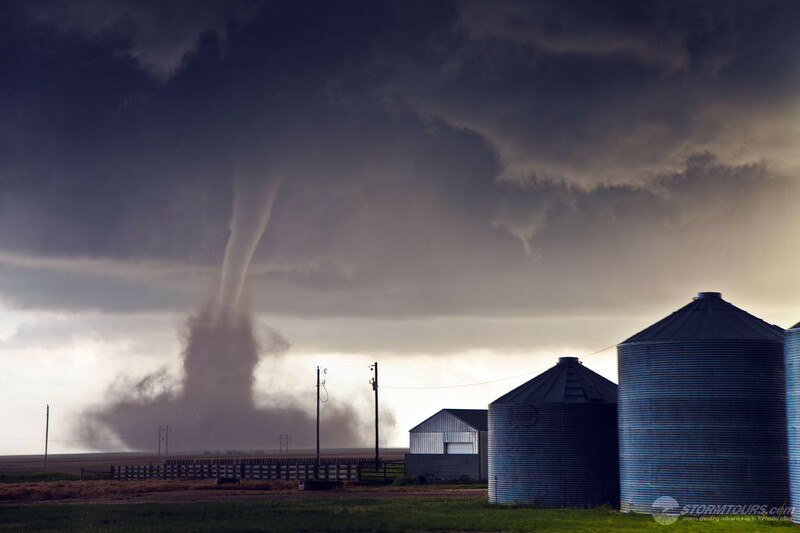 Colorado has three distinctive topographical features that form tornadic supercells, they are: The Raton Mesa, The Palmer Divide and The Cheyenne Ridge. 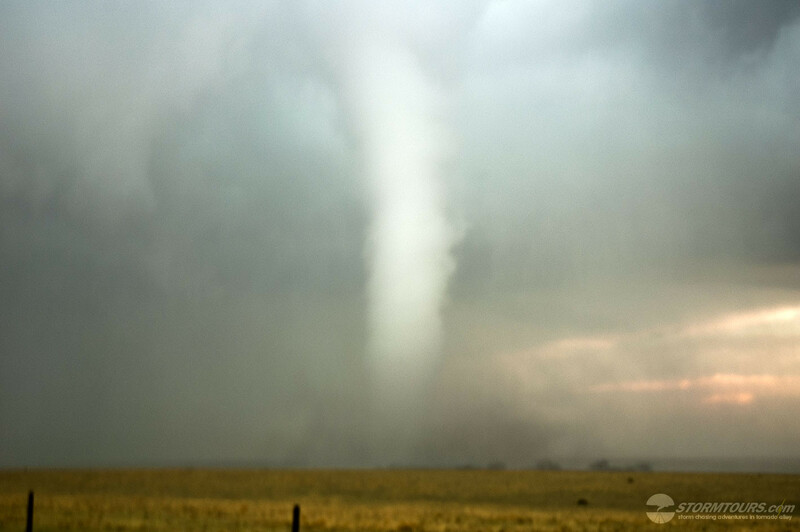 The Palmer is usually the most active and creates a feature known as the "Denver Cyclone Convergence Zone (DCVZ). 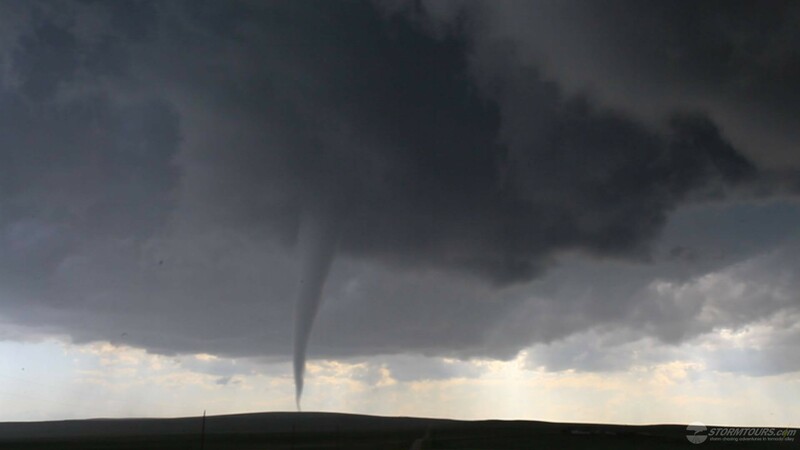 This happens as moist air from the SE gets pushed up steep elevations just east of Denver, as the air moves up from the terrain, it meets a wind from the west that is blowing off the foothills and creates a cyclonic low-pressure system at the surface. The result is some of the most breathtaking gorgeous one could ever hope to see! 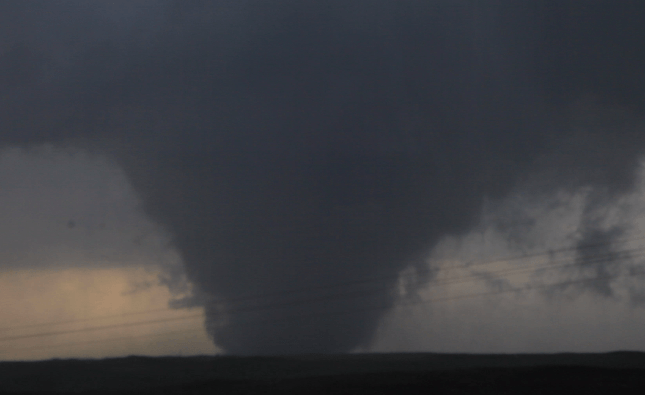 We have witnessed over a hundred tornadoes in this region over the years and this tour happens right at the peak of the DCVZ activity! 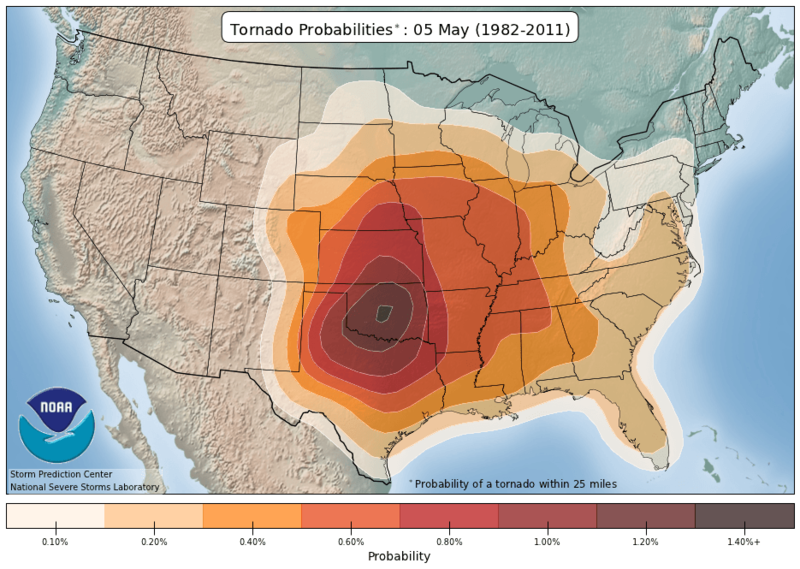 We will start this tour in OKC and move upslope on this tornado adventure tour to end the tour in Denver. Great storms, and two great cities, one tour! Calling all shutterbugs! If you're into serious photography, then we've created this tour for you. Our Tour Director is a world-class photographer who has sold and licensed his work for 20-years. He's been the subject of numerous articles and documentaries and co-hosted "Wild Photo Adventures" on the PBS Network in 2011. Sometimes on a tour it can be difficult to cater to everyone's specific wants. Photographers want to stay out a little later to photograph lightning, others want to get to sleep as fast as possible after a long-day of driving. This tour is for the photographers! 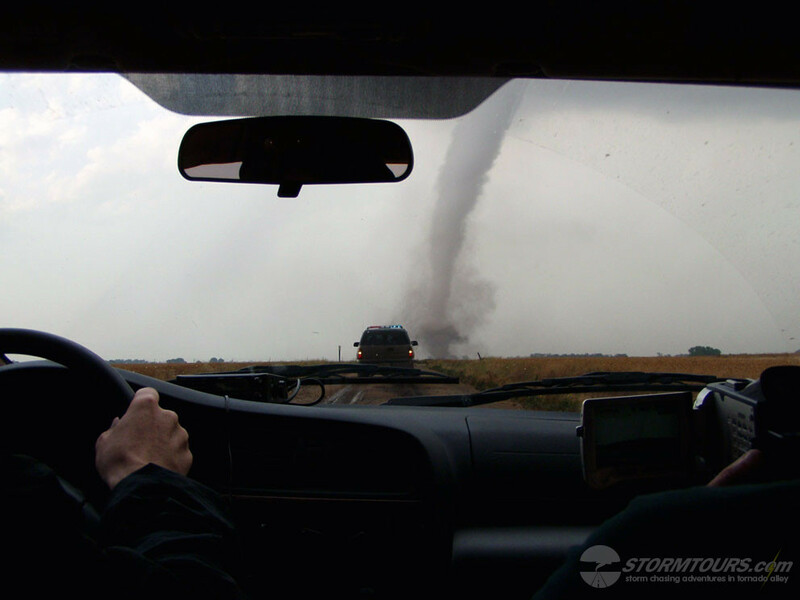 Instead of chasing to get as close as possible, we'll work to get the best photos possible (often that means taking a step back to capture a supercell's intense storm structure). We'll look for lightning opportunities and stay out a little later than we do on most other tours to allow for those ideal long-exposure shots. We'll often we traverse more backroads in hopes of getting away from the infrastructure of highways and towns. 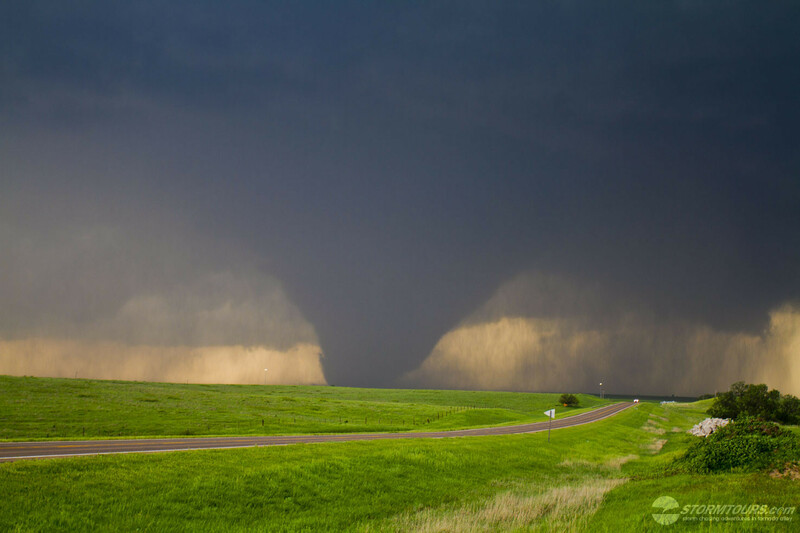 We've timed the tour so that it coincides with the best time of year for low-precipitation supercells in the High Plains, which are usually extremely photogenic. Shutterbug? Grab your gear and make a reservation!